A Finnish startup called Ōura Ring has closed a series A round of €5 million to ramp up production of its smart, health-monitoring jewelry. Oura Ring’s Series A backers included MIT Media Lab Director Joi Ito, Jaan Tallinn who was Skype’s founding engineer and a cofounder of Kazaa and the Future of Life Institute, along with other finance professionals and tech entrepreneurs who preferred to remain unnamed. More than 70% of the company’s sales and 75% of its equity funding come from the U.S. according to Petteri Lahtela, CEO and cofounder of Oura Ring. The company’s “wellness ring” and accompanying mobile app track and tell wearers how their body is responding to their daily lifestyle choices, for example, what they eat, how much they sleep and what kind of physical or other work loads they undertake. Based on pulse rate, respiration rate and other physiological data, the app recommends things users can do to improve their sleep and overall health or performance. When they wake, the app tells users if their body is significantly restored or not, so they can put off an intense workout or some other stressful activity until they are better rested if need be, or plan to take on more of a challenge. Lahtela said the startup, which employs about 15 today, will use its funding for hiring, sales and marketing in North America, and to complete clinical studies with sleep researchers around the world. The CEO also wants to collaborate with fine artists and fashion designers for future editions of the Oura Ring, he said. The Oura Ring and mobile app. Investor Jaan Tallinn lauded has frequently lauded Oura’s form factor. When it comes to collecting physiological data, arteries on the finger send stronger signals than veins on the wrist where a smart watch or fitness band is worn. That’s one reason why pulse oximeters have become commonplace in hospitals and doctors’ offices where they are used to measure oxygen levels in a patient’s blood, among other things. Additionally, a ring may not be as bothersome to wearers when they sleep as some other sleep monitoring devices, Lahtela said. Oura Ring aims to help its users and their health care teams to encourage healthy habits, and avoid diseases that can be caused by prolonged lack of sleep and over eating especially. Insulin levels and blood pressure spike in people who don’t get enough sleep, the CEO noted. Even though Oura Ring was formed as a consumer tech company, its clients include researchers and health care providers at institutions from the California Center for Sleep Disorders to Mt. Sinai in New York. Being based in Oulu and Helsinki may give the company an advantage. Along with the venture funding it has raised from outside backers, Oura Ring has been able to take advantage of €1.5 million in government loans for Finnish tech startups, and to tap into the tech talent pool there. 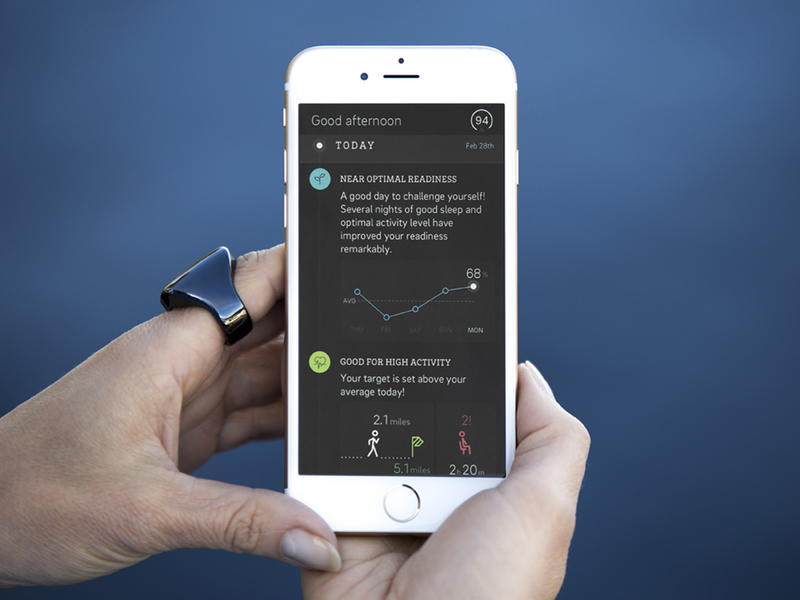 The Series A round brings Oura Ring’s total venture funding raised to-date to €7.2 million. The company also previously attained a €300,000 non-dilutive grant to develop its data analytics and other core technology.